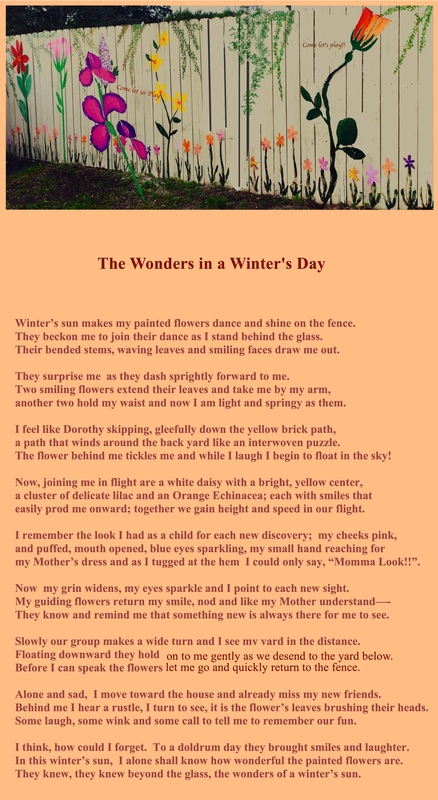 Posted on October 15, 2018 by suntithenaiPosted in fantasy, poemTagged childlike fun, discoveries, painted flowers. Oh my! “The Wonders in a winter day” is such an innovative way to capture a moment’s pleasure in beauty. Your flowers make me smile.